A few weeks ago I decided to get semi-permanent lash extensions for my trip to Ibiza. I think everyone can agree that there's nothing better than waking up on holiday and feeling like you don't really need to get ready properly because your lashes are ready to go. I have had eyelash extensions before but they always seemed to either not look right or end up poking me in the eye 24/7 (if you know you know haha!) so I made sure I did my research before going ahead and booking to get some in to make sure I could trust the person to do them properly. 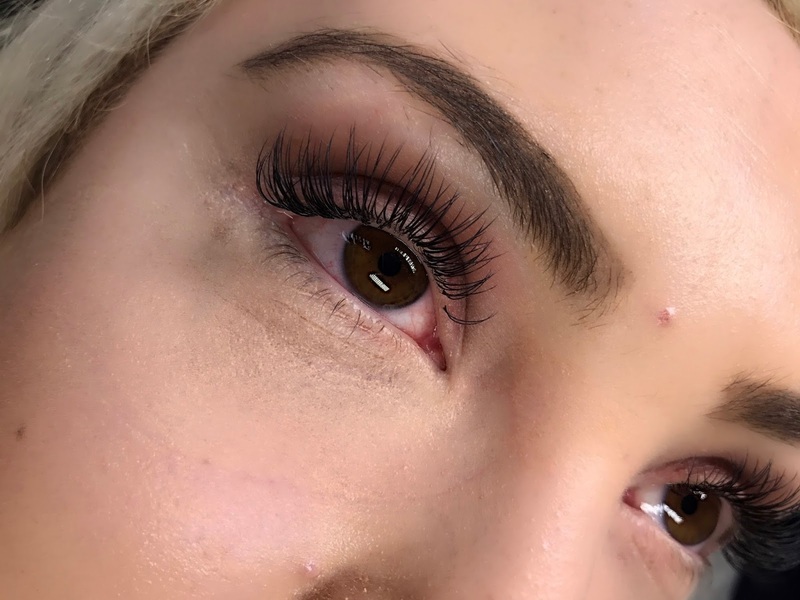 I had an idea that I'd like to have Nouveau Lashes, purely because I knew that they have such a good reputation for providing the best eyelash treatments, whether it be LVL lashes, or general lash extensions. I used their website to search technicians in my local area and came across Shannen at SD Lashes. It sounds cheesy but I really do think a picture speaks a thousand words so I made sure to check out her Instagram to see all of her previous work, which is what really made me sure that I wanted Shannen to do my lashes. After approaching Shannen about my lashes she was super quick to set up an appointment and I was so so excited to go and get them done. I had my lashes fitted a few days before going away, as it's recommended that you don't get them wet for 48 hours after having them fitted. Shannen is super lovely and made me feel so at home whilst having my lashes done. I showed her a picture of some previous lashes she had done so she could get an idea of the kind of style I wanted. After chatting away my lashes were done so quickly, and the whole thing was really comfortable, it was actually hard not to fall asleep haha! "Nouveau Lashes was established in 2005 by two beauty pioneers, it is now a rapidly expanding global business with award winning products and training. Nouveau products are the best in the business and are a completely cruelty free brand, with the majority of products being registered with the vegan society." One of the things which I noticed instantly when I had the lashes fitted is how light they were. 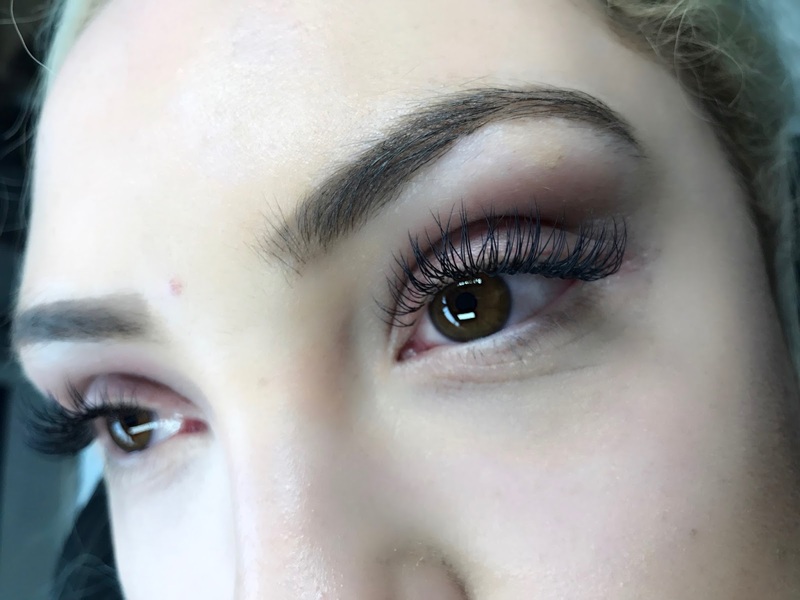 They were so soft and fluffy that they could pass for real lashes, which is the one thing I think is most important when having eyelash extensions fitted. I have quite small eyes so I sometimes struggle with wearing lashes, because if they are too heavy they can tend to overshadow my eyes a little. But Shannens work was literally perfect for my eyes, and I cannot express how pleased I was with the finished outcome! "Nouveau lashes are applied 1:1 using a weight for weight system meaning that no harm comes to the natural lash by weighty extensions. They also made from synthetic material making them lovely and soft and a fabulous alternative to the mink lashes found in most salons." As the lashes are semi-permanent, this means that they can last 5-6 weeks with infills every 2-3 weeks to keep them looking at their best. The treatment costs £45, with infills costing £20. 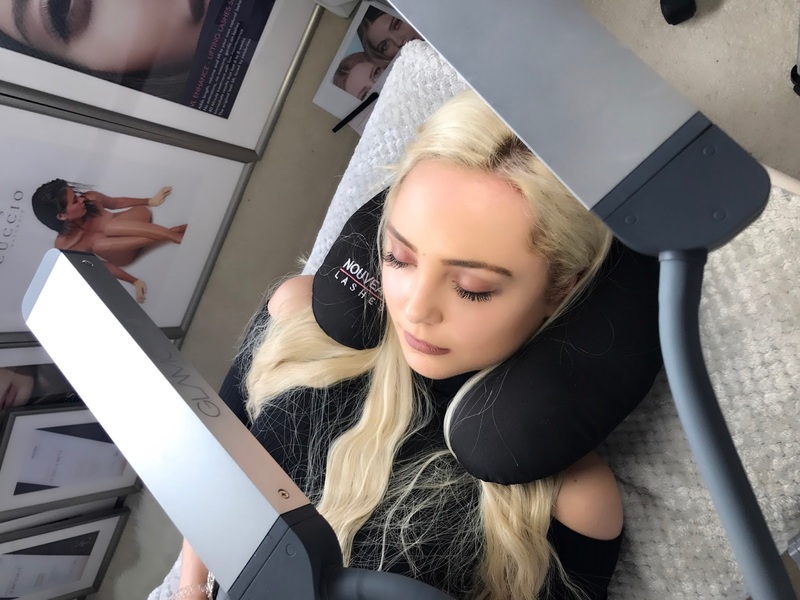 I would say that they are so so worth the money, as I said before, it made getting ready on holiday so much quicker, and meant that I had to wear minimal makeup, even at the nighttime. If you are in the Derby area, then I would 100% recommend paying Shannen a visit. She has just recently had a brand new home salon fitted, which I can't wait to pay a visit to the next time I go on holiday, as I will 100% be visiting Shannen again for my eyelashes. If you want to see some more of Shannens work, then you can visit her Instagram account: here. She has done so many lovely sets it will definitely make you want some too haha!